Former Military Administrator in Gombe and Ekiti States, Col. Muhammad Inuwa Bawa has died. He died after a brief illness at the age of 60 yesterday May 26th. 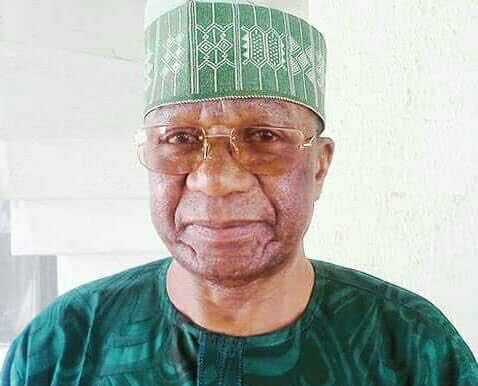 Born on April 6th 1957 in Yawuri, Kebbi State, late Colonel Bawa studied at Government Colleges in Keffi and Bida, then attended the Ahmadu Bello University, Zaria after which he studied at the University of Madras, India. Joining the Army, he was commissioned as second lieutenant in 1976, full lieutenant in 1980, captain in 1985 and major in 1990. Bawa was appointed the Administrator of Ekiti State after it was formed in October 1996 from part of Ondo State. After the death of General Sani Abacha, his successor General Abdulsalami Abubakar transferred him to Gombe State during the transition to democracy that was completed in May 1999. As administrator of Gombe State, he initiated joint border patrols with neighboring Chad and Niger to reduce cross border banditry. He ran unsuccessfully as candidate for Governor of Kebbi state on the Action Congress (AC) platform in the April 2007 elections and on the platform of Congress for Progressive Change (CPC) in 2011. May His gentle soul rest in Jannaatul Firdaus.